Like many of us, I spent decades trying to fix what felt like my fundamental flaws. While I often appeared to function well, I struggled with food issues, anxiety, sensitivity to criticism, perfectionism, relationship issues and a deep lack of self-worth. From my late twenties onwards, I explored psychotherapy, meditation, complementary medicine and a variety of spiritual teachings. I learnt many valuable things, but didn’t reach the sense of feeling whole or contented that I longed for. By my mid-forties, I was the co-founder of an award-winning health project, had my own home and child, and yet… something still didn’t feel quite right. When I lost my much-loved job in early 2007, my life and I fell spectacularly apart. For several years, I experienced a dark night of the soul. Everything I had been trying to fix or escape from came to the surface. Terror, panic, grief, shame, anguish, humiliation, yearning, shock, neediness, trauma; the floodgates opened and I began to truly face the legacy of my troubled childhood. It was a very intense time and I couldn’t work for several years. Yet there were also moments of grace, moments when it became clear that this undoing was part of an awakening process. When I first experienced Scott’s Unfindable Inquiry in 2011, it was a revelation. I sensed that inquiry was the answer to a question I didn’t realise I’d been asking. Learning how to come back to myself, to be present to myself whatever my state, is a continual process of revelation. I continue to inquire, both on my own and with other facilitators. The sense of being fundamentally flawed or damaged is gone. I’m no longer plagued by anxiety. The critical inner voice that used to drive the perfectionism has very little to say these days. Life feels simpler, saner and more normal. Since 2012, I’ve been at the heart of the Living Inquiries community as a senior facilitator and trainer. I am also the editor of two of Scott Kiloby’s books. My book about the Living Inquiries – The Art of Finding Yourself: Live Bravely and Awaken to Your True Nature was published in 2016. My latest book, The Dark Night of the Soul: A Journey from Absence to Presence was published in 2018, and I continue to write poetry and articles about all aspects of awakening, spiritual crisis and embodied inquiry. I work with men and women from around the world and have facilitated thousands of sessions. I accompany my clients gently and unflinchingly as they journey into the depths of their experience. Whatever arises – pain, tears, laughter, anger, numbness, resistance, surrender, defensiveness, shame, realisations, insights, or blocks – I’m fully present, holding my clients wherever the process flows. I always allow ninety minutes per session, so there is plenty of time and space to rest and talk both before and after inquiring. I work with clients on a wide variety of issues, so whatever challenges you face, it’s likely that we can inquire into them together. As one of the first group of facilitators that Scott trained, and as co-creator of the Anxiety Inquiry, I am a very experienced and skilled facilitator. If my words resonate with you and you would like to know more, or you’d like to book a session, you are very welcome to get in touch. 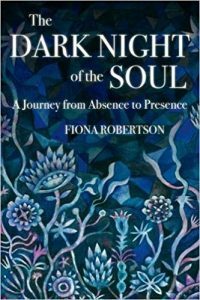 Senior facilitator Fiona Robertson’s latest book, The Dark Night of the Soul: A Journey from Absence to Presence is resonating with many people. This video is from one of Fiona’s book launches. Here she joins Zahra Achouak in Amsterdam to talk about her new book, The Dark Night of the Soul: A Journey from Absence to Presence. In the beautiful surroundings of the Buurtboerderij, Zahra and Fiona discuss many aspects of the dark night journey, including falling apart, the nature of the persona, the feeling of pain, and discovering the hidden parts of ourselves. This honest conversation and the questions which follow may be of support to anyone who is in or has gone through a dark night of the soul or any kind of spiritual crisis or emergency. 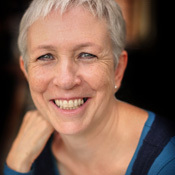 “Living inquiry facilitation with Fiona gives a clarity and spaciousness, based in her own personal deep work, that allowed my unique experience to unfold in an organic manner that I experienced as sacred, moving from the Divine Mother lovingly giving sustenance, to impersonal awareness where All is Well (I remember remarking, “Oh! There is no pain here!”) I can no longer remember the exact entry points to the process – family relationships, compulsions to eat sweets or simply to run from what is here in this moment, fear of death… It doesn’t really matter, because all that is needed is a willingness to begin exactly where you are, with either the most mundane or the most shameful aspects of your experience, and then look more deeply. I’m very grateful for Fiona Robertson and her work with the Living Inquiries”. P.K. “Why go deeper into one’s childhood? Paradoxically as we do, we become more fully the whole adult we are. The name Childhood Deepening Course itself is perfect, and for me the deepening was enhanced by the sense of intimacy, and openness among the participants from the moment we started. Fiona’s presence, and her ability to hear each person in exactly the place they were facilitated this. We went deep very fast. Each week the content build on our previous weeks experiences as we were gently invited to explore those cracks, crevasses and caverns within, as we were able and willing to do. I felt no expectations to do or be any particular way. The individual sessions with Fiona took me to places I was not even aware of within myself and allowed some permanent shifts to occur for which I am immensely grateful. I think this is a vital course and would go so far to say it would be a lovely prerequisite to the facilitator training”. “Dear Fiona, thank you so much for staying with me. I deeply appreciate the time we had today. I felt held in the space of your loving awareness. Truly a blessing. I love your loving ways.” A.C.
“Your presence, patience and acceptance really helped me to feel more comfortable, and your skillful navigation through the many layers was quite remarkable.” L.F.
“Just wanted to thank you again so much for your wonderful work and love and sharing today. Was so very deep and touching.” D.M. “Excellent…thank you Fiona…this is pretty remarkable…big territory being covered…remarkable effects are being seen and felt.” B.T.